We are delighted to announce that Colette McInerney has joined the Cufa Board of Directors. 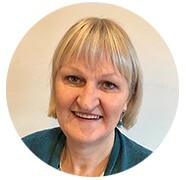 Colette brings over 20 years of experience in leading NGO’s both in Australia and internationally. With this, she brings a unique synthesis of effective and respectful leadership skills and practical experience. These have been gained through various roles such as the Laos-based Country Director for a global NGO. She also spent time as the CEO of an Indigenous financial inclusion foundation and as a strategic public-private partnership manager. With an extensive knowledge in microfinance and financial inclusion, Colette brings a great deal of expertise in female-centred economic development programs. In addition, she is a skilled fundraiser and strategic stakeholder management advisor. With considerable experience leading NGO’s, Colette has also delivered best practice programs that are responsive to community needs, underpinned by rigorous governance and management standards. Moreover, Colette has a unique capacity to work adeptly across diverse and often complex environments with ease and confidence. This only further assists in her development of stakeholder relationship management. As Cufa runs multiple female-focused programs aiming to empower women across the Asia-Pacific, we are excited for the invaluable insight of Colette McInerney on our board!